Planfulness moderates intentions to plan and planning behaviour for physical activity. "Olanzapine induced hypothermia: a rare case report"
Psychiatric aspects of pain disorder and its management. Internet Gaming Disorder: A Case Report. The effect of friendship groups on children’s physical activity: An experimental study. 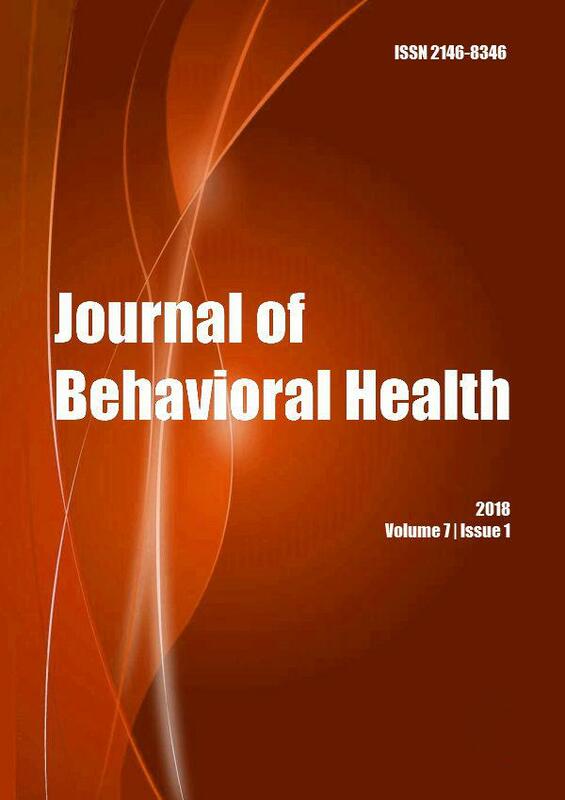 The articles in Journal of Behavioral Health are open access articles licensed under the terms of the Creative Commons Attribution Non-Commercial License (http://creativecommons.org/licenses/by-nc-sa/3.0/) which permits unrestricted, non-commercial use, distribution and reproduction in any medium, provided the work is properly cited. Copyright © 2019 Journal of Behavioral Health All Rights Reserved. Subject to change without notice from or liability to Journal of Behavioral Health.